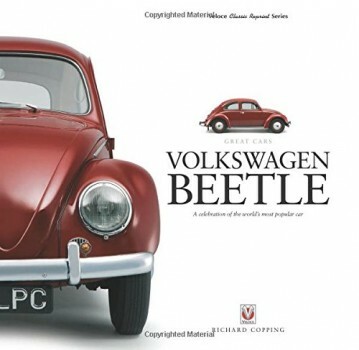 The VW Beetle is simply the best-known and most-loved car in the history of the motor car. Amazingly, some of the earliest Beetles, now seven decades old, are still on the road, while more recent examples, particularly the classics from the late 1950s and ’60s are many an enthusiast’s pride and joy. 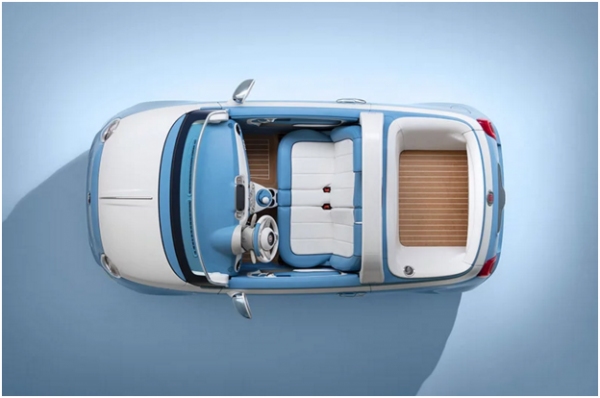 Created through the ingenuity of Ferdinand Porsche, brought to the brink of series production by Hitler’s Nazis and rescued from oblivion by the British after the war, the Beetle soon developed into a phenomenon under the guardianship of Heinz Nordhoff, the VW boss for two decades. Overwhelmingly successful in over 150 countries across the world, most notably in the USA; when the car finally fell from grace in Europe after Nordhoff’s death, it was destined to enjoy a revitalized and lengthy swansong in South America. 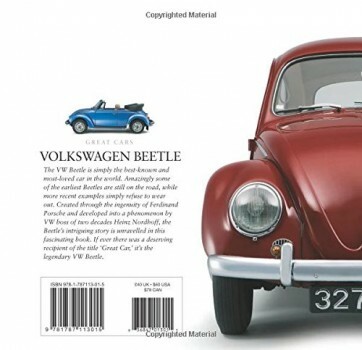 The legendary Beetle’s intriguing story is unraveled in this fascinating and handsome book. 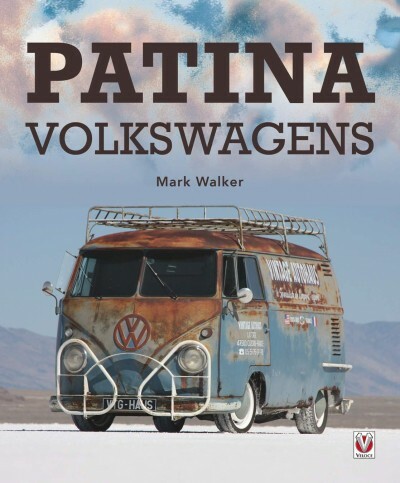 This book is published by Veloce Publishing – 30,00 Euro – now available at Amazon . 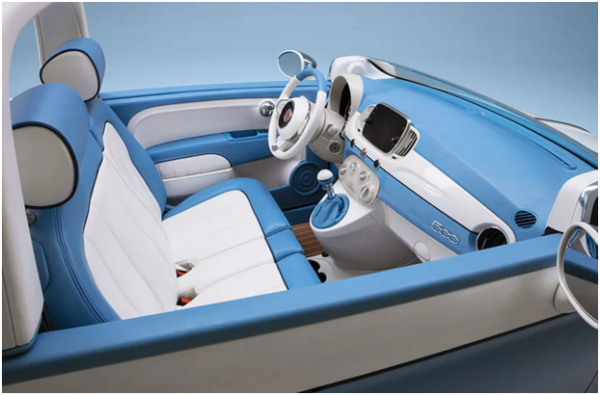 60 Jahre nach seinem ersten Auftritt wurde der Fiat 500 Spiaggina in einer neuen, modernisierten Sommer/Strand-Variation enthüllt. Um den Geburtstag des Autos zu feiern, haben “Garage Italia” und “Pininfarina” zusammengearbeitet, um die Karosserie eines ‘500C’ neu zu gestalten und einige Retro-Räder zu montieren, wobei die Variation auf 1958 limitiert ist und das Jahr der Entstehung symbolisiert. 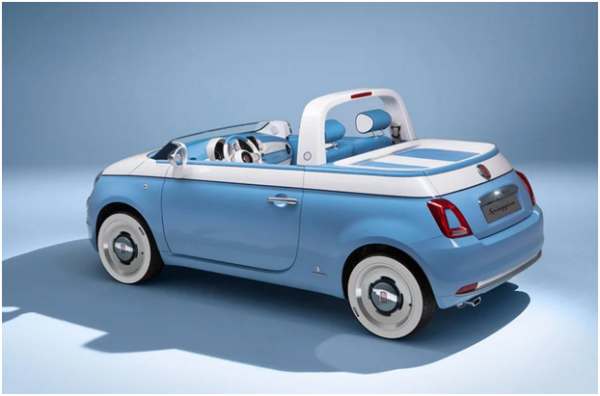 In einer blau-weißen Farbkombination getaucht, verliert das Fiat Spiaggina sein Dach, die Rails und die Rücksitze zugunsten eines für den Strand zugeschnittenen offenen Ober- und Rückteils. Eine Abdeckung gleitet weg, um ein Sonnendeck zu enthüllen, das sich verlängert, während sich die Heckklappe öffnet. Das hintere Abteil enthält nicht nur alles Notwendige für einen Ausflug ans Meer, sondern bietet auch eine eingebaute Dusche, um den Sand am Ende eines Tages beim Sonnenbaden ab zu waschen. Im Innenraum, der zu den Farben und dem Stil des Äußeren passt, wurde der Vordersitz des Strandwagens durch eine maßgefertigte Bank ersetzt, typisch für das Design der 1960er Jahre. Der Innenraum ist mit blau-weißem wasserfestem Leder bezogen, während alle Metallteile wie Griffe, Spiegel und Felgen mit poliertem Chrom überzogen sind, das in der Sonne funkelt. Four decades after its launch, the Jaguar E-type is still at the top of most car enthusiasts’ Christmas lists. An enduring example of design and engineering excellence, it is instantly recognizable the world over. 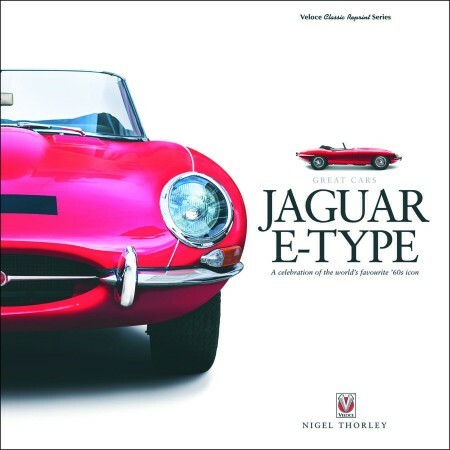 Jaguar E-Type celebrates this icon of the 1960s as Nigel Thorley describes the year by year history and development of this beautiful car in full illustration with anecdotes and curiosities along the way. Coupled with excellent writing, this adds up to a feast of nostalgia that will delight all admirers of this most sinuous of cars. This book is published by Veloce Publishing Ltd 32,16 Euro – now available at Amazon.